Cold winter evenings are the perfect excuse to pop on your PJs, get snuggled up with a good book and indulge in a few treats. After a long soak in the bath, I pop on my new The White Company Pom Pom Boots* (which are faux fur lined and ridiculously comfortable), throw on a bit of Fleetwood Mac, and treat myself to a cheeky chocolate or two from Hotel Chocolat. I think a chilled night at home can make such a difference, especially when you’ve been having a long, stressful week. Even if you’ve only got an hour to yourself, make it as special as you can and indulge in all those things you normally save for a special occasion. When there are so many other life pressures going on it’s easy to give away your ‘me time’ in place of everything else that needs doing, when really that’s the one thing that you need to hold on to. 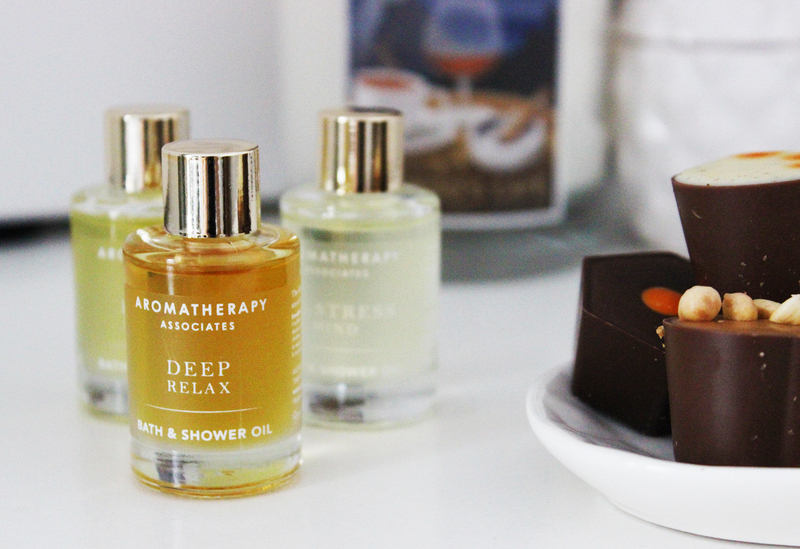 The bath – Aromatherapy Associates make THE best bath oils in my book. Yes they’re expensive, but they are jam packed with amazing quality essential oils and just a few drops will have you sighing with happiness or drifting off to sleep. Lush bath bombs are also another top choice – with so many different scents and shapes to choose from, it’s so much fun experimenting with a different one each time! The snuggly bits – PJs – check. Blanket – check. World’s comfiest slippers – check. Scented candle – check (La Montana's Alfredo's Cafe* candle is my current fave). These might all sound like your typical blogger clichés, but I make no apologies. 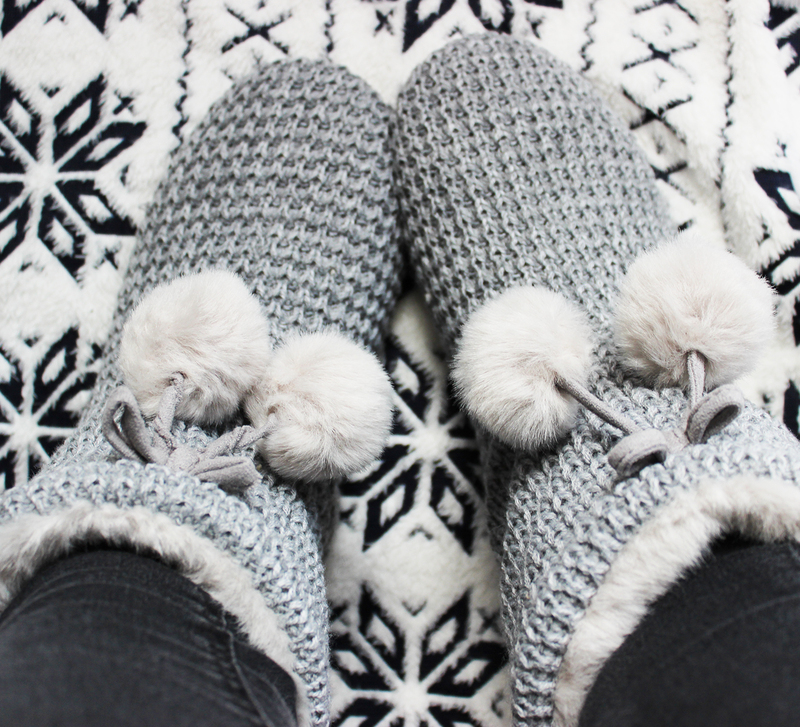 These cosy slippers have only left my feet in order to leave the house and go to work (and I’d wear them there too if I thought I could get away with it) and winter just calls for lots of new PJs to lounge around in (yay for Primark!). 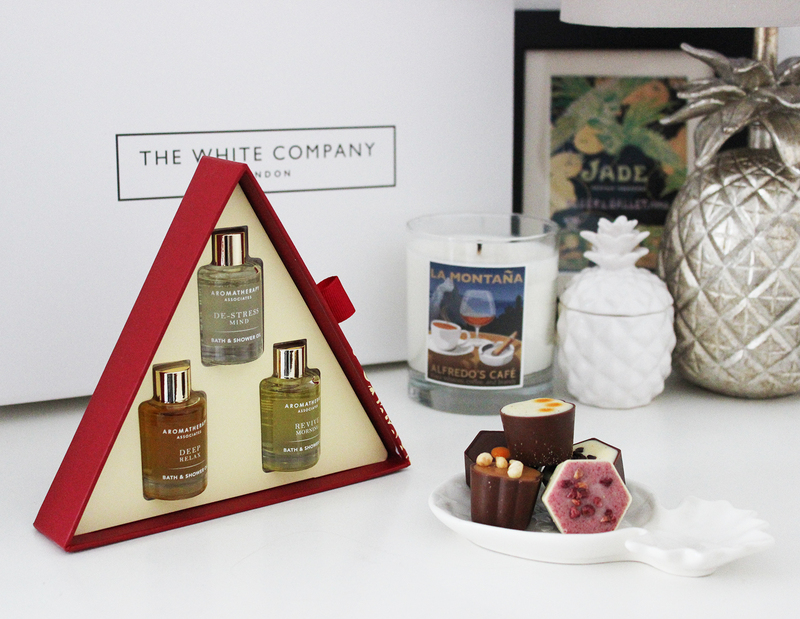 What are your favourite things to treat yourself with for a cosy night at home?